"Will we have peace or war?" 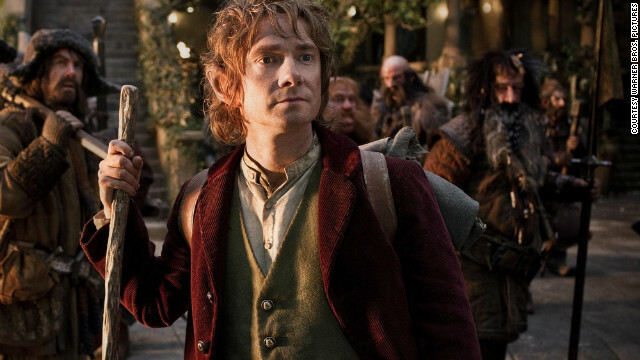 asks the just released trailer for "The Hobbit: The Battle of Five Armies." Judging from that clip and the trailer for "Hunger Games: Mockingjay - Part I," it looks like this winter is going to be all about the latter. Lea Michele is the newest guest star to join the final season of "Sons of Anarchy" - which, you may be interested to know, is apparently her favorite show. Jessica Simpson's son Ace is apparently already bros with Rocco, the son of Simpson's BFF CaCee Cobb.